t takes a lot of hard work, dedication and teamwork to prepare us for the Christmas Spectacular season, and our Creative Director, Karen Keeler, is a key member of that team. Karen, a former Rockette and dance captain, grew up in Scranton, Pennsylvania. She moved to New York City to pursue her Masters in dance and tried out for the Radio City Rockettes. After 14 years of performing on the Great Stage, she now works behind the scenes, developing new choreography and full dance numbers for our line. This year, Karen was tasked with choreographing our new “Christmas Lights” finale number. Read on to learn a little bit more about her creative process and which scene in the show is her favorite. What inspires you about Christmas? First and foremost, what inspires me most about the Christmas season is the wonderment that I see in my son. Something as simple as a string of Christmas lights becomes truly magical. Decorating the tree, hanging lights and making cookies always signifies the start of the Christmas season with my family so knowing that all over the world, these same traditions exist, reminds me of the powerful spirit of unity and hope which fill the holiday season. What is your favorite number in the show? My favorite number is “New York at Christmas.” In this number, the Rockettes take the audience on a tour of New York City while riding a real double-decker bus. The tour culminates in the heart of the city, Times Square, where the Rockettes perform a show-stopping number showcasing their precision, athleticism, individuality, style, and glamour. Do you remember the first time you ever saw the Rockettes or the Christmas Spectacular? Yes! I remember every Thanksgiving morning watching the Macy’s Thanksgiving Day Parade and anxiously awaiting the Rockettes performance. I was mesmerized by them. It was impossible not to smile watching them dance. It felt like the magic of the Christmas season was right there on our television. 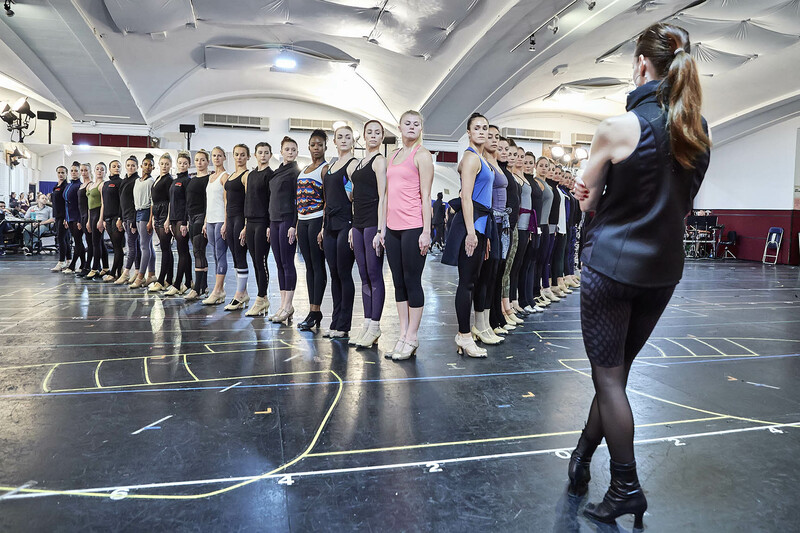 You’re responsible for the Rockettes choreography in the show – including the brand-new finale. Tell us about the process behind choreographing a new number and how you make magic on stage. Choreographing a new number for the Rockettes is a privilege, especially having been a Rockette myself for 14 years. I get to work with an amazing group of women whose talent, individuality, hard work, and commitment inspires me every day. I think the most important aspect in creating a number is deciding what I want the Rockettes to represent, what the number is about and how it might affect the audience emotionally. The music is a huge factor for me because it inspires the movement. I listen to the music for a long time before I even begin to create steps. When I feel like I have an idea, I begin to play with choreography and how it relates to the overall concept of the number. Once I have some steps, I start to visualize patterns and formations. The challenge of moving 36 bodies around one of the largest stages in the world requires much time, patience and a lot of graph paper. It’s a giant math puzzle that transforms into an effortless piece of choreography. I allow myself to make mistakes and learn from them, always trusting my instincts. I can’t say that I am ever 100% satisfied, but I think that’s part of being an artist and the vulnerability that goes along with it. What I do know is that my job allows me to create some magic, but really it’s the Rockettes who are the magic. What do you love about the Christmas Spectacular? I love that the Christmas Spectacular is a tradition for more than a million people every year. For 86 years, audiences have filled Radio City Music Hall and they know that the experience they have at the Christmas Spectacular cannot be seen anywhere else in the world. Knowing that I am a part of that is really special.